Elliott Hundley’s intricate and immersive works evolve from his historical research on theater, literature, and film, emerging in this exhibition from an exploration of Antonin Artaud’s enduringly imperative play “There Is No More Firmament.” Written in the 1930s and set in an imagined year 2000, the script recounts a society’s frenetic response to an imminent cataclysmic event. Replete with cacophonous sound, jarring light and fitful movement—a mesmerizing intimation of synesthetic experience—the text conveys a sense of anxiety and uncertainty. 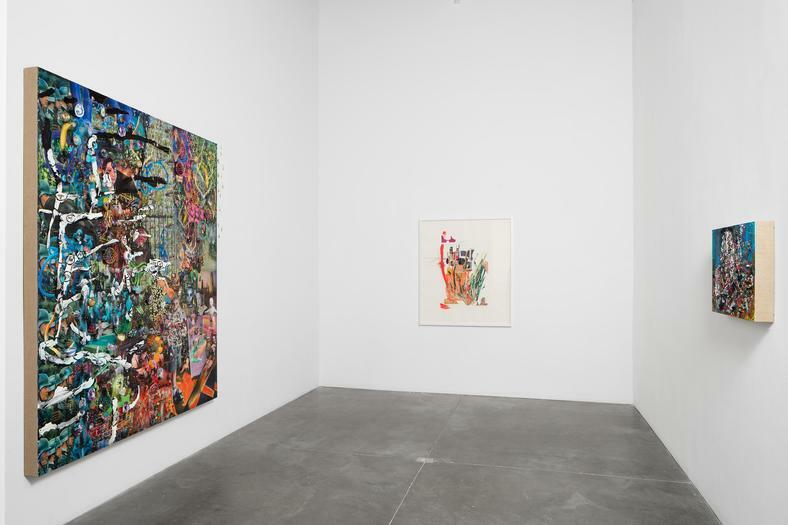 With dense accumulations of imagery and painted gestures adjoining three-dimensional elements puncturing and protruding from the surface, Hundley’s vibrant works appear alive and volatile. 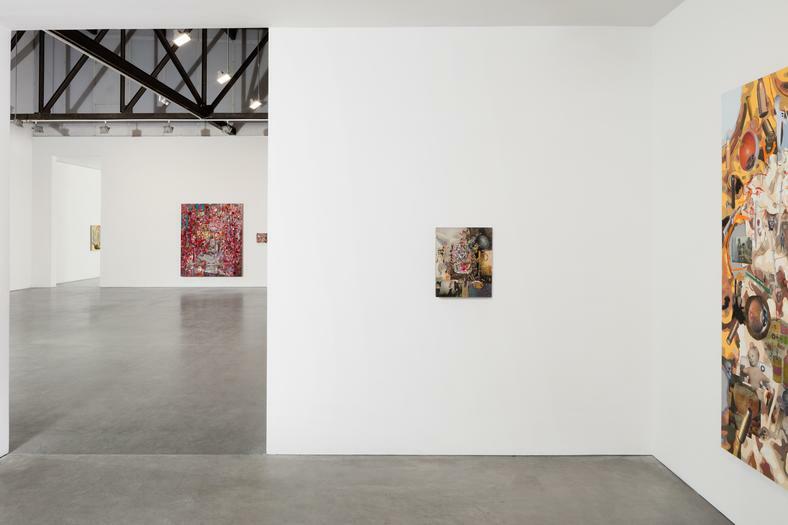 These teeming, insidious canvases impose a state of disquiet and hint at underlying violence with depictions of internal organs, crowds, ants, taxidermied animals, and a sculpture of the Fall of the Rebel Angels and The Last Judgment. Mediated by the processes of reproduction and re-presentation, it is difficult to locate these things in time and substance; the works resist attempts at deciphering. Echoing the improvisational approach of Artaud’s text, explicit meaning becomes elusive. Here, Hundley reinforces an awareness of the mutability of material and the subsequent need for alert and active viewing. Previously engaging with translations of plays from antiquity, Hundley has sustained his interest in translation over time with “There Is No More Firmament." 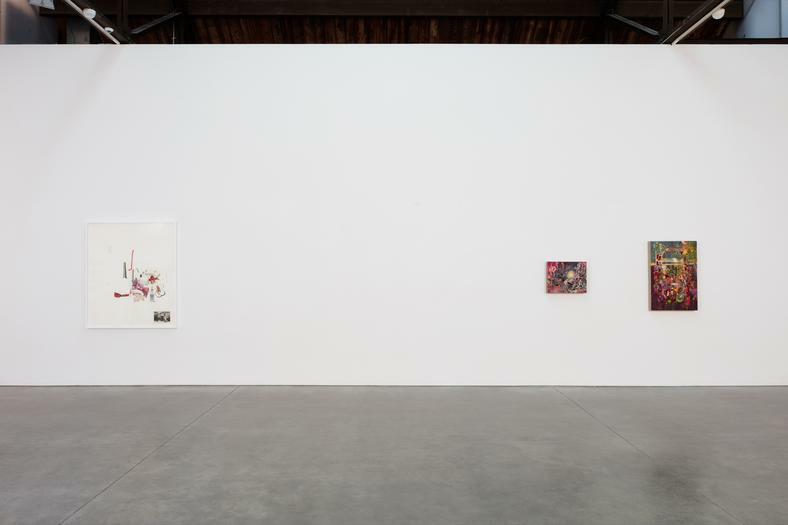 Moving from translation of language to translation of form, Hundley’s works perform the unfinished script throughout the exhibition. In this encounter with Artaud’s play—written in the past, projecting into a future that has now passed—time folds in on itself. Part science fiction, part political satire, the text’s inherent ambiguity allows it to remain eternally relevant; the unknown impending disaster could represent a number of contemporary threats. 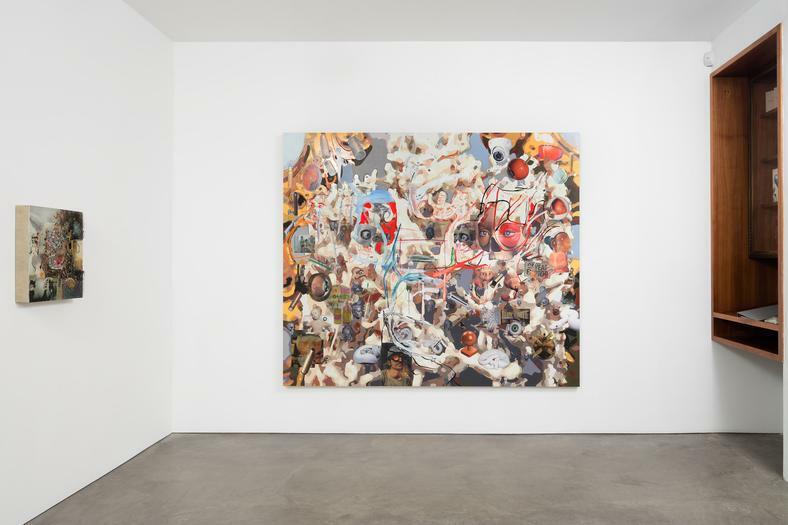 This ability to extend into perpetual reinterpretations expresses an innate accessibility at the core of Hundley’s sources, reinforced by his use of collage to open the experience and undermine an overwhelming seriousness. Orchestrating a spectrum of perspectives, vignettes emerge from the swarm in these complex and exuberant works. Conflating color, language, sound, and motion, they approach a liminal sphere, conjuring visceral reactions. 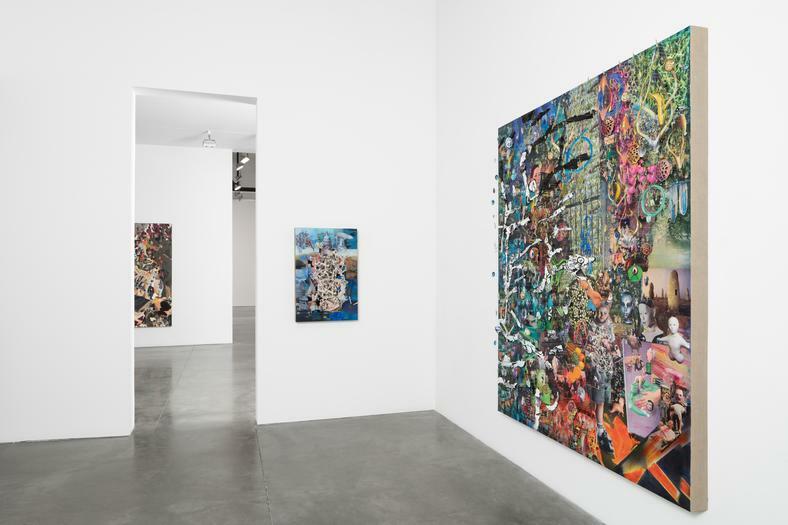 Like dialing between radio frequencies, Hundley lingers in the static between lucid signals and sporadic staccato transmissions, where dissolving is another type of becoming. Elliott Hundley (b. 1975) lives and works in Los Angeles. 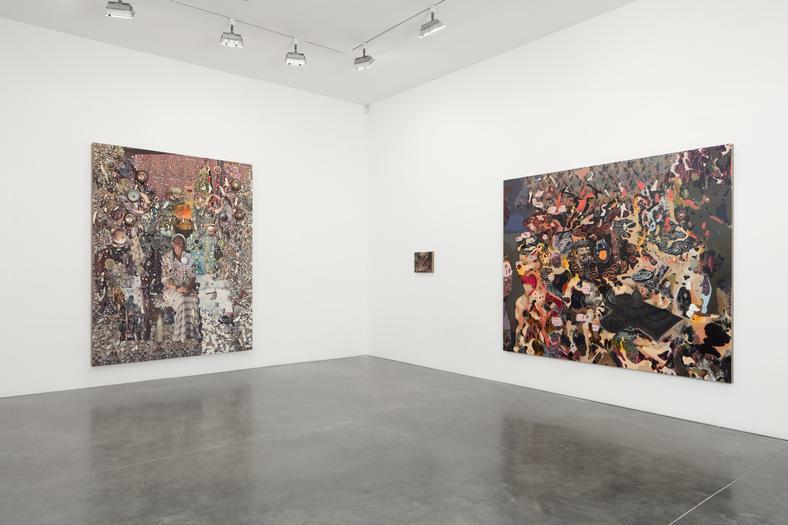 Dust Over Everything is Hundley’s fourth solo exhibition with the gallery. 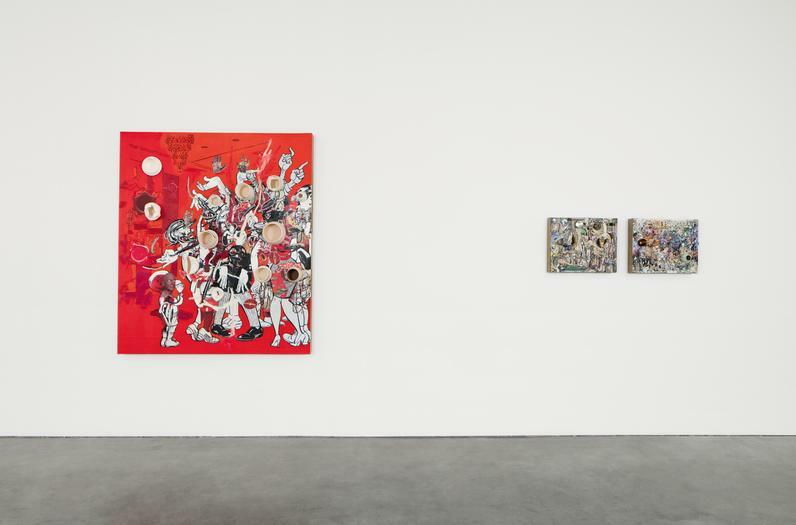 His series The Bacchae was the subject of his 2011-2012 traveling museum solo exhibition at the Nasher Sculpture Center, Dallas and the Wexner Center for the Arts, Columbus. 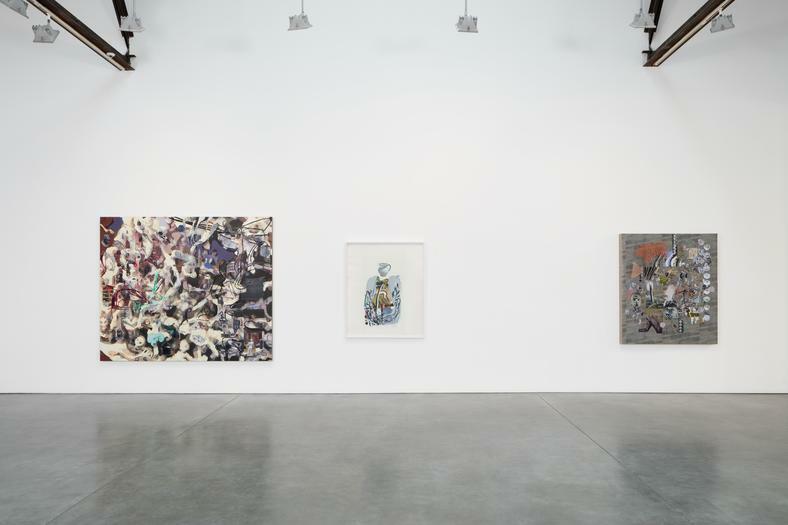 His work is held in numerous prominent public institutions including the Armand Hammer Museum, Los Angeles; Broad Foundation, Los Angeles; Louisiana Museum of Modern Art, Humblebaek, Denmark; Miami Art Museum, Miami; Museum of Contemporary Art, Los Angeles; Museum of Modern Art, New York; Nasher Sculpture Center, Dallas; San Francisco Museum of Modern Art, San Francisco; Solomon R. Guggenheim Museum, New York and Whitney Museum of American Art, New York. 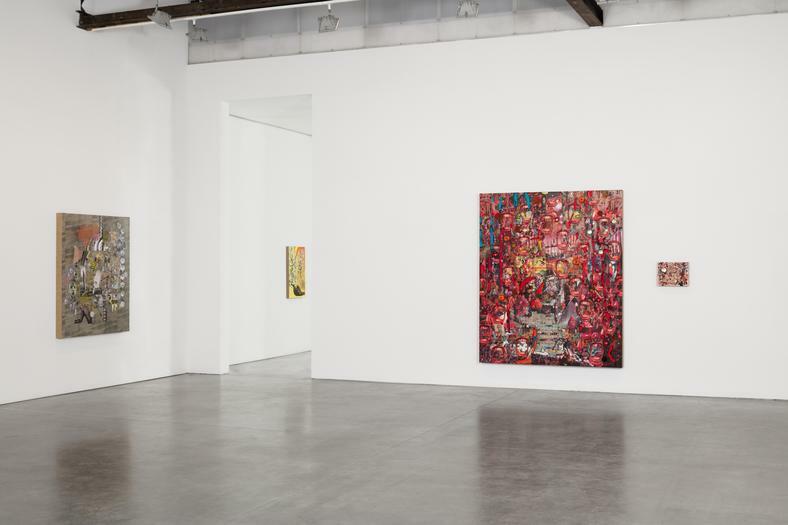 For media and press inquiries, please contact Brittni Zotos at b.zotos@rosengallery.com.